Although laws vary, in most jurisdictions, you and your spouse must file a financial affidavit, sometimes called a domestic relations affidavit or other name, either when a divorce is filed or fairly soon afterwards. The affidavit provides the court and your spouse essential information pertaining to financial matters. The data is used both in settlement negotiations and as a guide for the judge should the case require a hearing or trial regarding financial issues. Courts typically allow couples greater leeway in an uncontested divorce when it comes to resolving financial issues. Courts encourage a divorcing couple to resolve issues themselves, without the need for a divorce trial. This includes using the services of a mediator. The court does review the settlement agreement reached by a couple in an uncontested divorce to ensure that it is fair to both parties. A few states, such as California, permit a two-step process called a "bifurcated" divorce, in which a couple is divorced before financial matters are addressed. These issues must then be resolved at a later date. At least one state, North Carolina, allows you to divorce without addressing financial issues at all, but if you don't reserve the right to do so before the divorce is final, you forever waive your right to go back and ask the court to divide property or debts or address issues of spousal support later. The couple must advise the court, typically through the petition, response or a motion, that certain financial matters remain unresolved. Taking this step is called "preserving the issue." By preserving the issue, the court holds future hearings after the divorce to resolve these matters. Both pros and cons exist with regard to delaying a financial settlement. You can typically end your marriage faster, especially if your finances are especially complicated. On the negative side, once the divorce is granted, other issues might remain unresolved for an extended period of time. In some cases, once a couple's marriage ends, the two might feel free to move on with their lives and the pressure to resolve other issues decreases, which can cause delays. 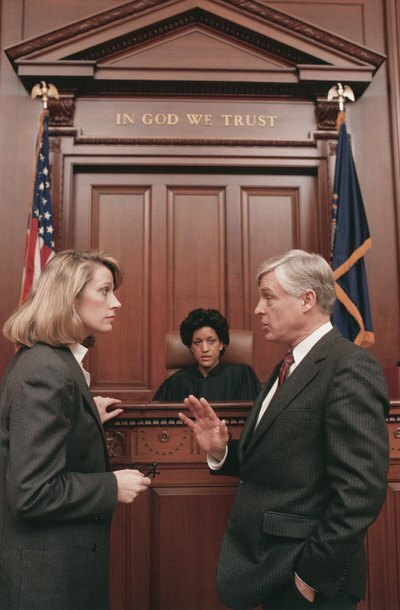 What Do I Do After I File a Notice of Hearing for My Divorce in North Carolina? The divorce process can involve significant paperwork. Most jurisdictions require the parties to first make all important requests to the court in writing. This provides the judge with an opportunity to review both sides of the issues before holding a hearing or ruling on the matter. These requests are known as either petitions or motions, depending on their purpose and when in the case they are filed.